In a study done by researchers at the University of California and published by WebMD, 3,500 middle school students between the ages of 11 and 15 were asked if they felt pain when wearing a backpack. Two of every five students complained of pain caused by their backpacks. 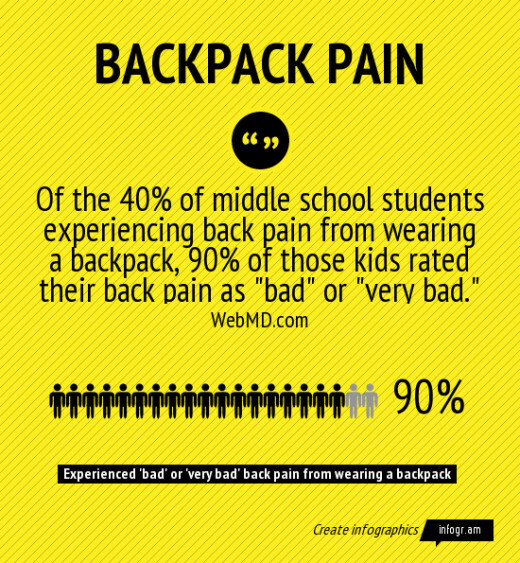 Of those 40% of students experiencing pain while wearing a school backpack, 90% described their back pain as "bad" or "very bad." Purchasing a good quality rolling backpack for use at school everyday or for travel could save your kids form experiencing back pain, stress, discomfort or even long-term injury. When speaking about the advantages of rolling backpacks for school kids, spokesperson for the American Academy of Orthopedic Surgeons (AAOS) Melanie Kitchen, M.D. stated. "…use a rolling backpack as an alternative to carrying the heavy load on their shoulders." In 2011, the Consumer Products Safety Commission reported that about 14,000 children between the ages of 5 and 18 years were treated in emergency rooms from injuries resulting from school backpacks. While not all brand name backpacks are the best quality, the best are typical going to provide more for your school backpack dollar. If you want a good buy and a rolling backpack that will last, look for top brands like JanSport, Olympia, or High Sierra. Also, check out some review websites like Backpack-Ratings.com to get more detailed info and recommendations on where to buy the best backpacks. Backpack-Ratings also has a free fitting guide to help you find the right size backpack for your child. These type of websites do all the legwork and research so you can make a more informed decision before you buy. One of the biggest mistakes most parents make when buying a wheeled backpack for school is the overall size. 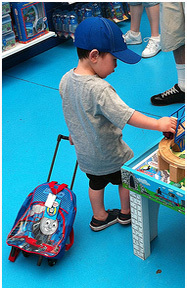 Take a look at your child - if they are smaller, then a smaller and lighter wheeled backpack is going to make more sense. A smaller kid is just not going to be able to easily maneuver a wheeled backpack. 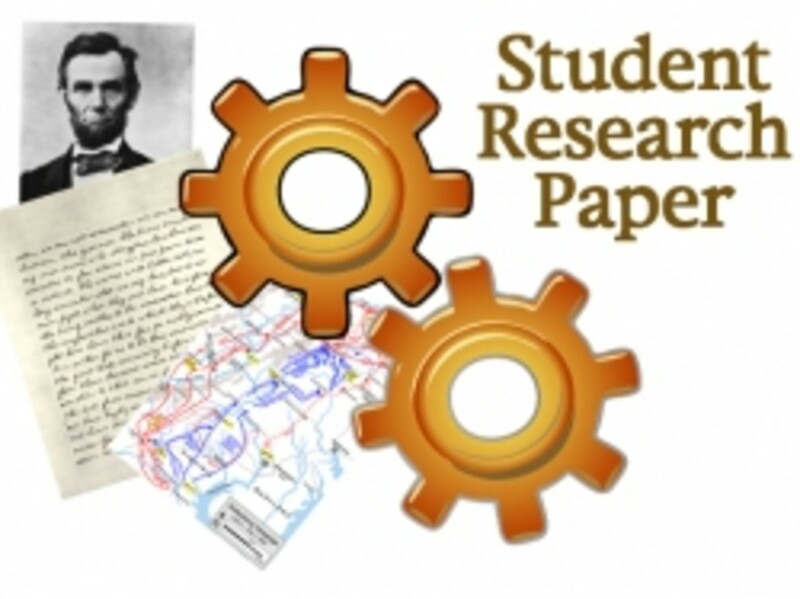 When doing your research, check the overall dimensions and make sure the rolling backpack you select is a good fit. Look at overall capacity as well. 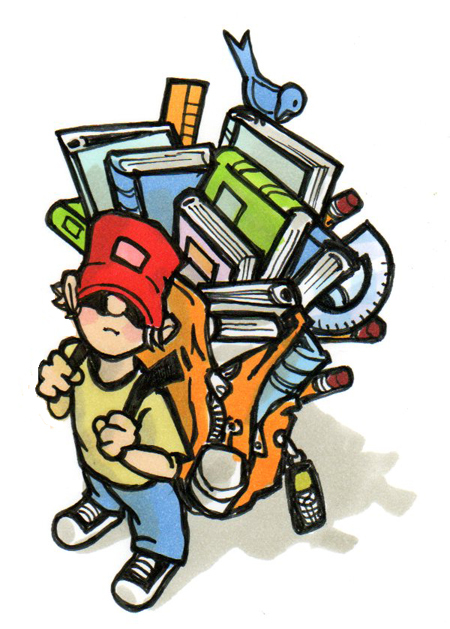 You know how much stuff kids tend to cram into their backpacks. Buying a wheeled backpack will allow your child to handle more weight than a traditional backpack where the weight is primarily carried on their shoulders. A note of caution here: Children may indeed be able to carry around more weight on a wheeled or rolling backpack, however, these rolling backpacks also have shoulder straps. Some kids may actually end up toting the additional weight of a heavier load on their back along with the added weight of a wheeled backpack. This is probably one of the best ways to tell if a wheeled backpack is made by a quality manufacturer - especially if the telescoping handle has just a single pole extension. Simply extend the handle fully and give it a good shake. 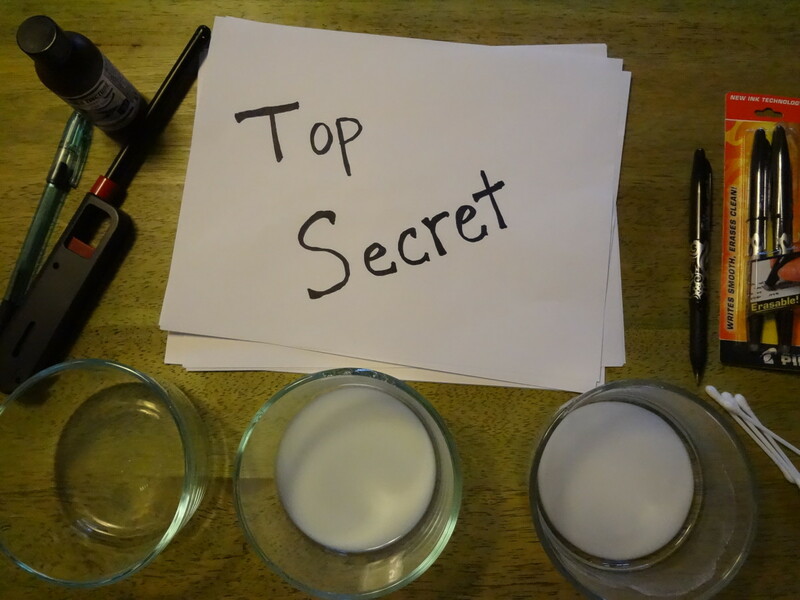 You should be able to tell pretty quickly if you're handling out a quality product. As I stated previously, if you stick to the manufacturers with a reputation for making quality products, you should not have to worry about this. Successfully maneuvering a rolling backpack can be a bit of a challenge, especially for little kids. Check the positioning of the wheels to make sure they are set wide toward the outer edges of the wheeled backpack. Take a close look at the wheels and the wheel housing. This is where a rolling backpack is really tested on a daily basis. Bad or poorly constructed wheels and wheel housing assemblies are just a waste of time and money. 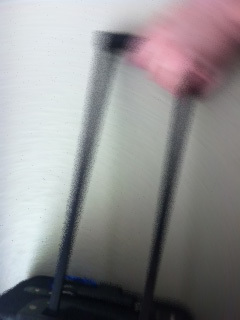 If the wheels go bad, the whole rolling backpack is finished. 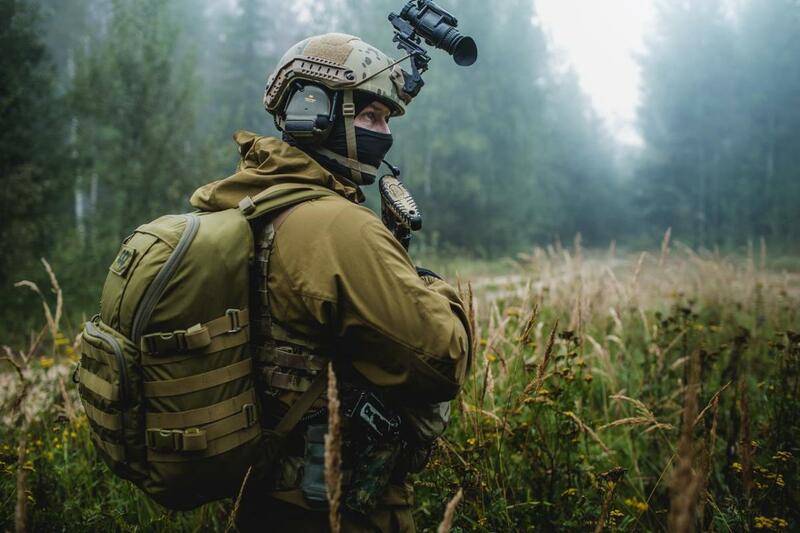 Again, quality wheeled backpacks made by reputable manufacturers are typically built to last in the most difficult conditions for a very long period. If they don't, the reputable manufacturers will back their products with a solid warranty. The JanSport Driver 8 is perhaps one of the best wheeled school backpacks out there. Sure, it costs a bit but you can be assured you're getting the best materials, craftsmanship and overall quality available. This wheeled backpack features ripstop nylon, side mesh pockets and self-repairing zippers. There are handy utility cords on the front for storing those odd shaped items and a durable, retractable push button handle. A padded wheel cover is provided for converting the backpack to carry mode. Features large, zippered compartments that will easily handle a 17-inch notebook computer, an organizer with a handy media pouch, various open pockets and even a removable key fob. The handle is a double tube, flush-mounted telescoping type that store in a protective zippered compartment. A kick-plate and durable corner guards keep this wheeled backpack form showing wear and tear. An economical choice for a really good wheeled backpack. Specially designed and patented 2x2 double ball bearing wheels, rectangular handle system with hide-away system. Constructed of highly durable polyester Dura-weave material. This wheeled backpack for school kids has a large, front-loading main compartment for books, school supplies and even clothing. There's also several open pockets, a key fob and a handy media pocket with a headphone port. Quality in-line skate-type wheels and a single arm telescoping handle that stows away in a zippered pocket. Good value for the dollar. Darker colored backpack material is always a better choice because it doesn't show dirt as readily. Stay away from the campy and cute cartoon character or latest pop star backpacks - these are typically low-quality and will probably not last through the school year. 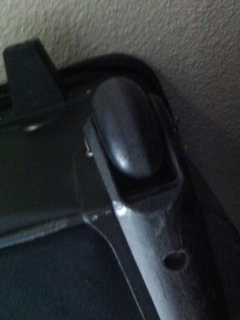 Also, remember that the wheel mechanisms and handle add additional weight to wheeled or rolling backpacks. Most of these backpacks have shoulder straps which means your child could carry the rolling backpack - along with that additional weight - on their back. Talk to your kids and let them know that prolonged carrying of heavy backpacks may cause back pain and even possible short-term and long-term injury. Nothing is worth compromising the current or future health of your kids. Check into switching over to a rolling or wheeled backpack today. Best Backpacks for High School: Or How to Make Your Middle/High School Student Happy in 2014. The rolling backpacks from pottery barn teen work really well, too. They also have som patterns that teens would like, too. Thanks, Sue - you're so kind! Voted up and interesting. Great hub!